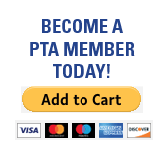 We hope you can join us for our February PTA meeting at NHE on Tuesday, February 5 at 630pm. Free childcare available. We will be discussing upcoming spring events and how families can get involved. Please join us. Agenda and upcoming event listed below.